The Keg location in Yaletown has got to be one of the swankiest Keg locations in Vancouver. With its triple level interior and beautiful patio, it made me feel a bit more ‘sophisticated’ just dining there. 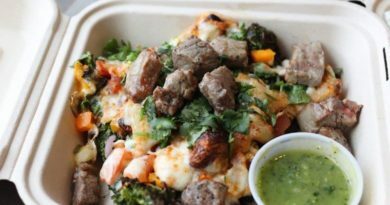 A couple days ago, they revealed a new test menu that just rolled out in the Yaletown and Dunsmuir location. They are looking to permanently add/remove certain items on the menu so it’s not just a seasonal or promotional menu. Go give them a try and provide feedback before it’s actually locked and running in all locations across North America! 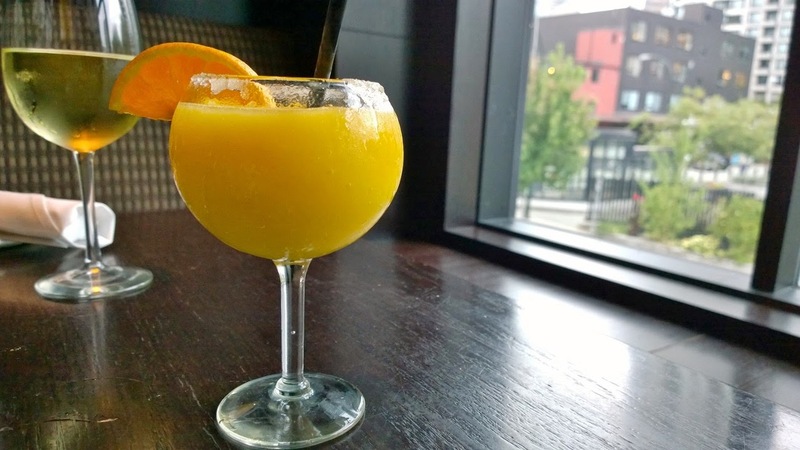 I started with a Frozen Mango Margarita and it was indeed as fruity and tasty as I expected. I ordered it as a recommendation from my friend and I believe this is an off-menu drink. 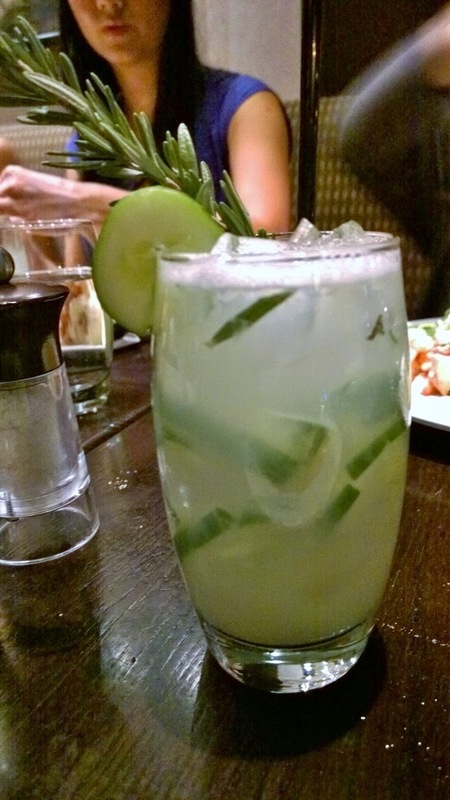 The Cucumber Collins (Keg Size) is another delicious and refreshing drink for people like me who don’t love to taste a lot of alcohol in their concoctions. Gin, cucumbers, and rosemary are the primary ingredients for this drink. 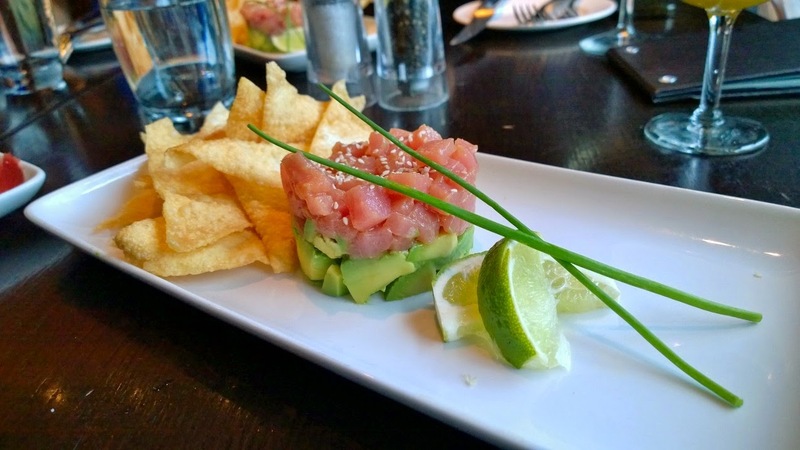 Some of their new appetizers include: Beef Carpaccio, Tuna Tartare, Crispy Shrimp, and Tuna Tacos. I tried the Tuna Tartare ($14) and not only was this visually stunning when it arrived, it also lived up to my expectations. The tuna was fresh and lightly seasoned with sesame oil and soy sauce. The wonton crisps were perfectly fried (not oily to the touch) and held the avocado tuna mixture nicely. 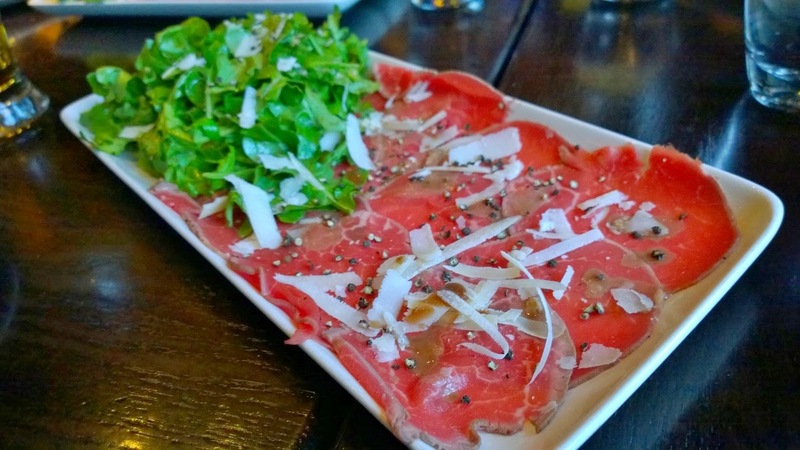 I wasn’t a huge fan of the Beef Carpaccio ($14) only because I felt like it was missing some acid. The salad did a nice job of balancing it out a bit, but some lemon or other acidic liquid would’ve been better. For my main, of course I had to order something new! 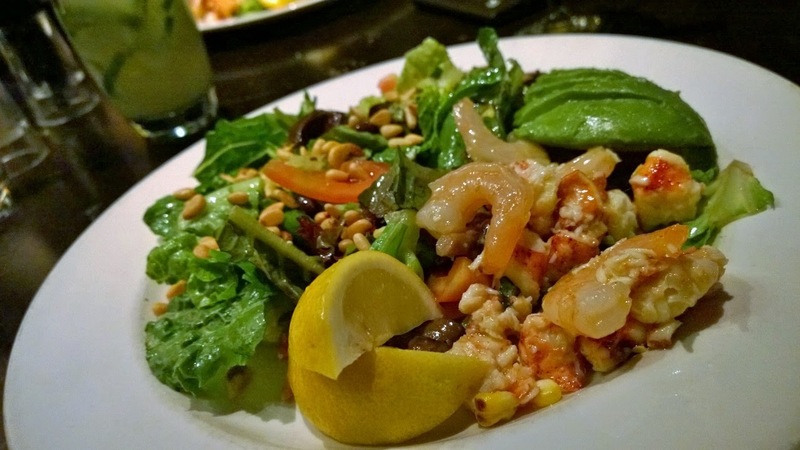 The Shrimp and Lobster Salad ($21) is one of two ‘Dinner Salads’ on their new menu. This salad had artisan greens, black beans, corn, cremini mushrooms, tomatoes fresh avocado, pine nuts, and a mango sesame dressing. 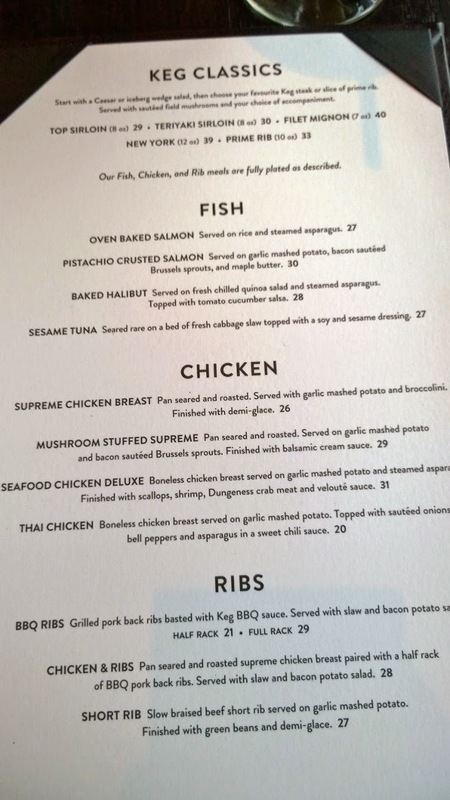 You’ll also notice that The Keg added a lot more non-beef items on their menu, specifically expanding on their fish and chicken selections, and even adding on ribs! 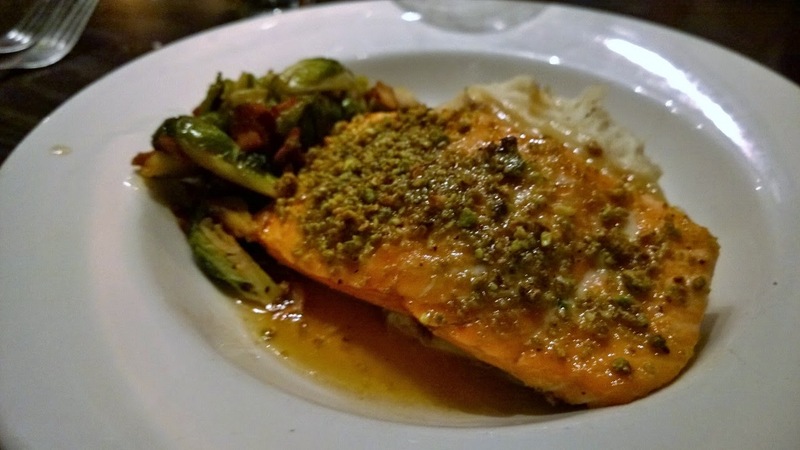 This is the Pistachio Crusted Salmon ($30) served on garlic mash potatoes, bacon brussel sprouts, and maple butter. Meta Knight really enjoyed the flavor combination of salmon and maple butter, and even said he will definitely be getting this again. The bacon sauteed brussel sprouts were quite limp and can definitely be improved. I’ve been LOVING this new dessert lately. It’s their Sorbet ($6) which comes with a scoop of Chocolate and Raspberry. This fruity dark chocolate combination is like a party in my mouth. Honestly. You’ve got to try this if you like raspberry chocolate. 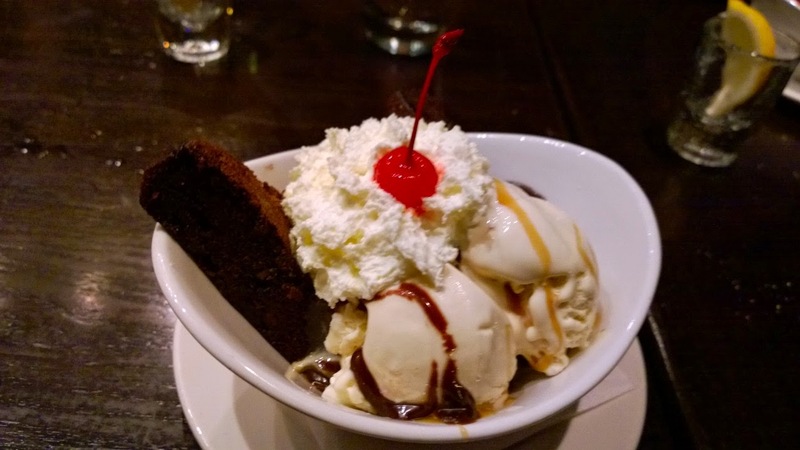 Their Brownie Sundae ($7) always satisfies the sweet tooth with its warm brownie, vanilla ice-cream, whipped cream, chocolate syrup and caramel. 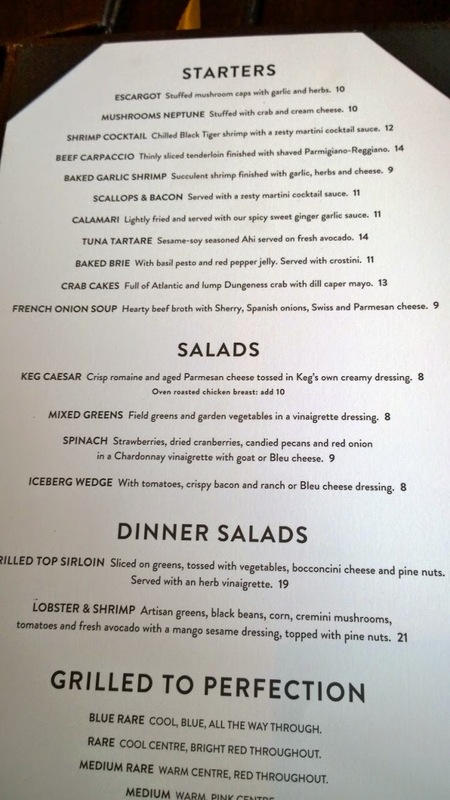 All in all, I can see that The Keg is improving it’s menu with more modern flavour combinations (like bacon brussel sprouts) and trendy ingredients (quinoa salad). 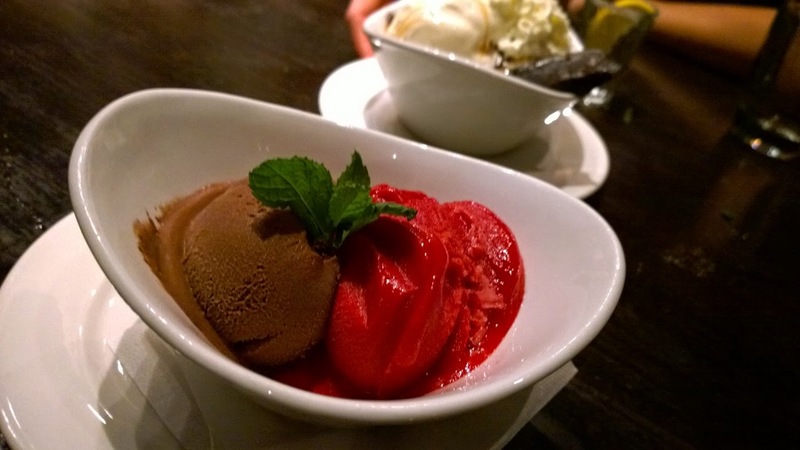 Their must order item in my opinion is their TunaTartare and Chocolate Raspberry Sorbet! Hakkaku Ramen- Tastes like a Yummy Garden.